I went to Xi’An by myself and spent a week doing all the things I wanted to do in that old capital of Zhou, Qin, Han and Tang dynasties. It was exhausting but I had a really great time. This trip would have been too demanding for Sally. Bet you can’t tell I was having a good time by this photo of me in a bumpy public bus going to the Qin Tomb- Terra Cotta Warriors site. 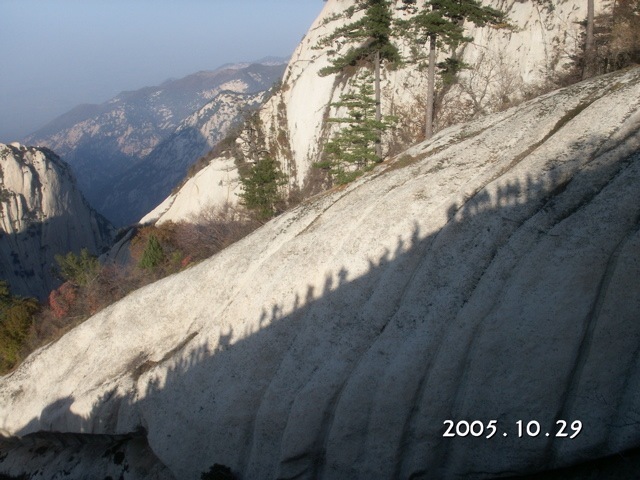 The other passengers were apparently pleased by my PhotoSolo on the long hiking stick that was used to take this photo. 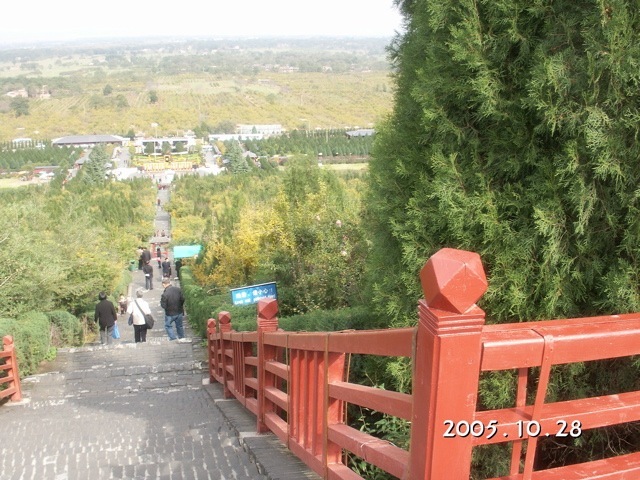 I walked to the top of the tomb mound of the First Emperor. It is recorded in history that he used a lot of mercury to simulate the rivers and seas in his miniature landscape of his conquered China in his tomb. Measurements indicate that mercury vapor in the air over this mound is 300 times higher than permissible, so I did not stay there too long. A young tour guide at this site said she is losing hair after working here for three months, and other girls here have the same problem. EPA of China should declare this a toxic site. The mercury is credited as one reason the tomb has never been robbed as tomb robbers would die before they can dig too deep. After climbing the HuaShan Mountain for an afternoon, I took a rest on the abandoned carved steps of an old path. This location is far from the currently used paths and free from the voluminous spittle from the thousands of Chinese visitors. The mountain is now built with very good pathways and safety measures. I was fully equipped for this climb: iPod, digital camera, hiking stick with PhotoSolo, chocolate bars, coffee packs, sun block, good hiking shoes, and am physically fit after months of exercise. Single file bumper-to-bumper traffic on the precipitous Green Dragon Ridge that is a single piece of igneous rock five feet wide, 200 feet long, and with thousand feet sheer drops on both sides. 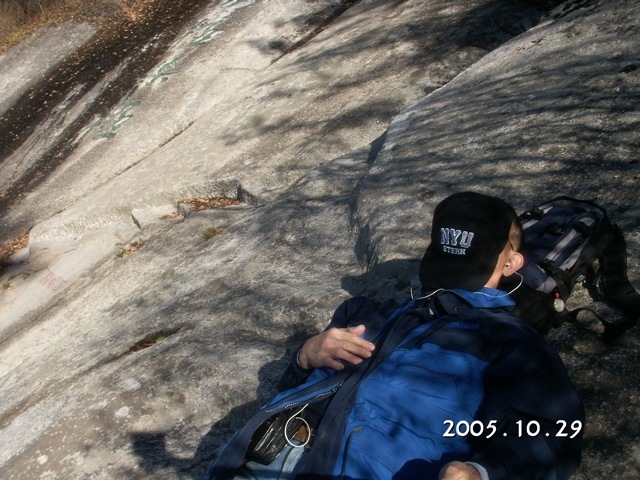 Before the pathway was carved and handrails built on both sides, some visitors had to straddle the smooth rock of the ridge on all four and slowly climb up. A thousand years ago, a famous poet that had vertigo was driven to howling tears, threw away his belongings, clung to the rock, and had to be rescued by more stout hearted folks. I ate the local specialty of lamb soup with broken hard bread. 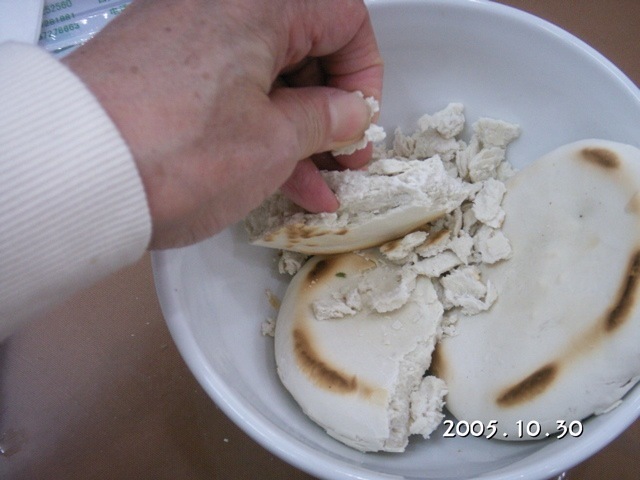 I had to break the bread into corn kennel sized pieces before the kitchen would cook it in lamb soup. It took me 10 minutes to break one hard dense bread, and my fingernails suffered for a week afterwards. The lamb soup was rich and delicious, the lamb meat was tender and flavorful, and the bread was al dente. Maybe the pain was worth it after all, once. 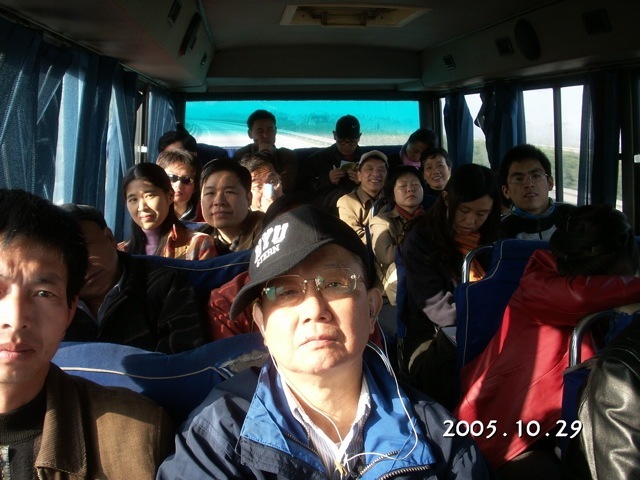 Posted by Robert Wu on Wednesday, November 9, 2005, at 10:50 am. Filed under Uncategorized. Follow any responses to this post with its comments RSS feed. You can post a comment, but trackbacks are closed.